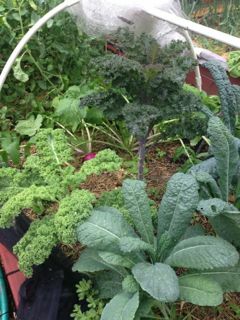 Growing Kale - Everything you need to know. 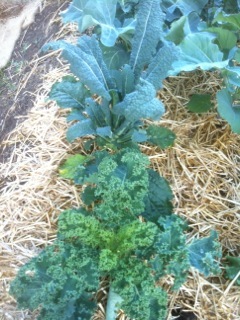 Kale is a cool season crop that will overwinter well, in fact the flavor will improve after a frost. It can also be planted in early spring to be harvested in the summer. If you have a shady area (4 hours of sun) in your garden, this plant will do well, especially in the summer months. This vegetable matures quickly, is full of nutrients and can be eaten raw or cooked. 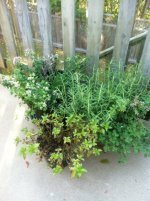 It can be harvested as a whole plant or by cutting off lower leaves as you need them. Soil - Rich, fertile loam with neutral pH (6.5-6.8). Soil Preparation - Grows well after a green manure crop. 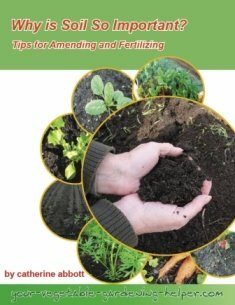 Dig in 3 inches of compost or aged manure and lime before planting. Planting times - Sow late May; transplant at 4 weeks. Sow mid June to mid July for fall planting. Planting Instruction - Like cool temperatures. Can be direct seeded or started as transplants. If direct seeding, plants will need to be thinned. Watering - Water regularly at the base of the plants; when sprinkling, the large leaves impede water from getting to the soil. Disease & Insects - Club root – to prevent use rotation. Harvest - Cut outer leaves when they are 6 inches or more in length. Once the plant starts producing smaller leaves cut the whole plant. Must be cooled quickly. Storage - Is best stored in a sealed plastic bag or container in the refrigerator. It is best to use kale within a few days as it has a short shelf life. Mince the garlic cloves. Wash the kale and shake it over your sink. It's okay if the kale remains a little wet. Strip the leaf from the stems (you can save the stem for using in making stock or juicing). Tear the kale into bite-sized pieces. Heat the sesame seed oil in the skillet over low-medium heat. Add the minced garlic to the hot oil and saute for about 20 seconds. Add the kale to the garlic and oil, and cover the skillet with the lid.